382 Authority: Kedassia, London, U.K. 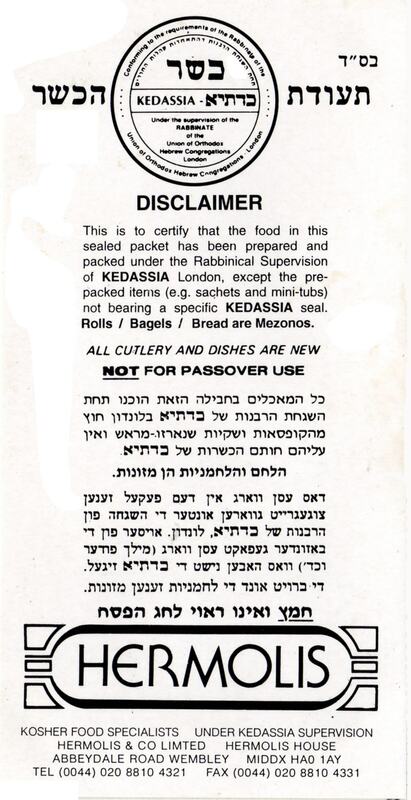 Source: kosher meals prepared by Hermolis & Co. and supplied by British Airways. Format: notice printed on light card. Comment: This card was packed inside the sealed meal container.